DIY mold removal attempts are highly inefficient. 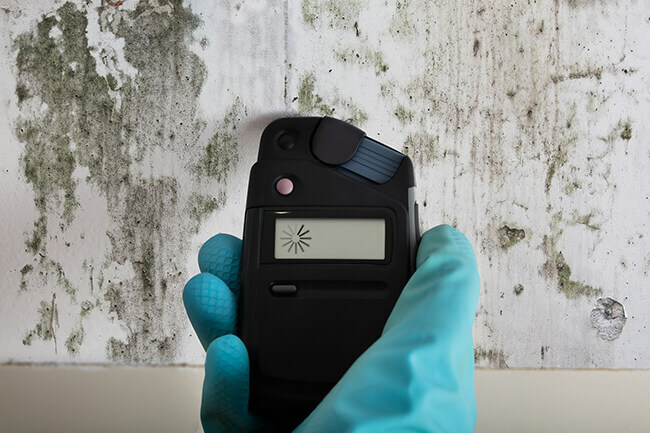 The only instance in which these attempts to remove mold have any potential to work is when one recognizes the first sign of mold growth and somehow manages to prevent it from further developing. Such an instance is incredibly rare as it is difficult to time mold removal just right. Furthermore, fully eliminating the source of moisture that promotes mold growth is even more difficult. In the end, just about every DIY mold removal attempt proves incomplete. Such solutions are temporary in nature. As an example, common household cleaning agents and disinfectants are nowhere near as strong enough to eliminate mold spores. This is also true of bleach. Such cleaners are much too weak to kill those pesky mold spores. Rather, they simply hinder mold spore development for a short period of time. Mold will inevitably reappear again unless it is attacked with a proven cleaning solution administered by an experienced mold removal professional. Oftentimes, people spot mold and attempt to clean it on their own without donning the proper form of protection. Protection equipment such as a respiratory mask, goggles, and gloves must be worn. Furthermore, it helps to strategically position dehumidifiers in the affected portions of the premises. Most people do not have all of this equipment on-hand. Furthermore, many will rush through the attempt to clean the mold, fail to don any sort of protective equipment and ultimately end up sick. Let a professional tackle your mold problem and he will pinpoint all of the mold within your home rather than just the visible portions that caught your eye. Your mold removal specialist will identify all dormant, hidden and visible mold spores. He will also kill all black mold to boot. This is the professional mold removal expert you need on your side to keep you and your loved ones healthy. Professionals have all the equipment necessary to comprehensively remove mold from wood, walls, HVAC equipment, and other surfaces. A true mold removal professional will locate and eliminate the cause of the mold. Whether it is a leak or a particularly moist area, the space will be identified and tended to so the mold does not return in the coming days, weeks or months. A mold removal specialist will replace the affected materials, apply highly specialized cleaning products and prevent mold from further developing. He will also clean and repair the contaminated portion of the home. One of the best reasons to let a professional eliminate the mold in your home is efficiency. A professional has the knowledge, skills, and equipment necessary to perform a quick mold removal. This way, you won’t have to invest your limited free time in attempting to locate and eliminate mold. The moral of the story is to let the mold removal experts handle your mold clean-up project. Attempting to clean mold in a DIY manner is unsafe and ineffective. Ally with the experts and you will rest easy while the true professionals perform comprehensive mold removal. 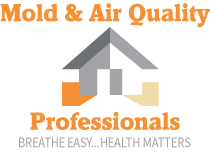 To obtain a free estimate on mold remediation in your home, call Mold & Air Quality today.